Rajbhar has expressed his annoyance to the Yogi Adityanath government over his demand of implementing the trifurcation of reservation for the OBCs. 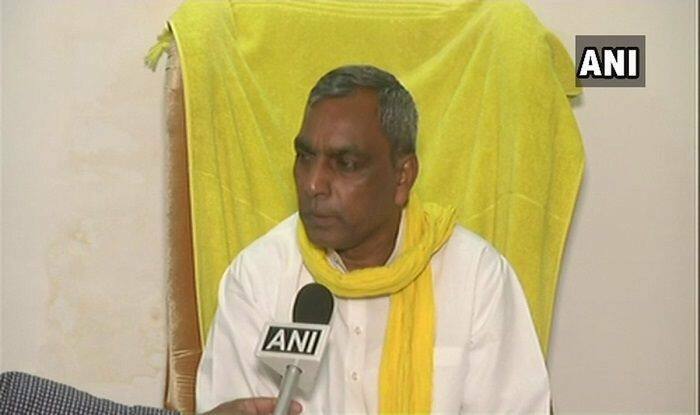 Prayagraj: Uttar Pradesh minister Om Prakash Rajbhar – chief of BJP’s dissenting ally Suheldev Bharatiya Samaj Party – has announced to boycott the state cabinet meeting, scheduled to be held in Prayagraj today. On Sunday, the SBSP chief had warned the BJP that if his demand of reservation is not met, his party will contest on all 80 Lok Sabha seats in the state. “The UP government is yet to implement the trifurcation of reservation for the backward class, extremely backward class and most backward class,” he told reporters here. “If it does not fulfil our demands by February 24, then we will contest 80 Lok Sabha seats on our own,” he said. Days ago, the minister for Backward Classes Welfare and Department of Disabled People development accused Chief Minister Yogi Adityanath of “misleading” the country on the Ram temple issue. Referring to the chief minister’s claim during an interview to a channel that the temple issue can be resolved in 24 hours, Rajbhar told reporters: “BJP which is in power at the centre has not been able to find a solution to Ram temple issue in the past five years…what will the chief minister do in 24 hours.” “… The party is in power both at the Centre as well as state..who has stopped them from building the temple. Adityanath is misleading the country on the issue,” he said. In a first, the UP cabinet will hold a meeting at Prayagraj during the ongoing Kumbh mela in the city today. After the meeting, Chief Minister Yogi Adityanath and other ministers are likely to take a dip in the holy waters of Sangam.